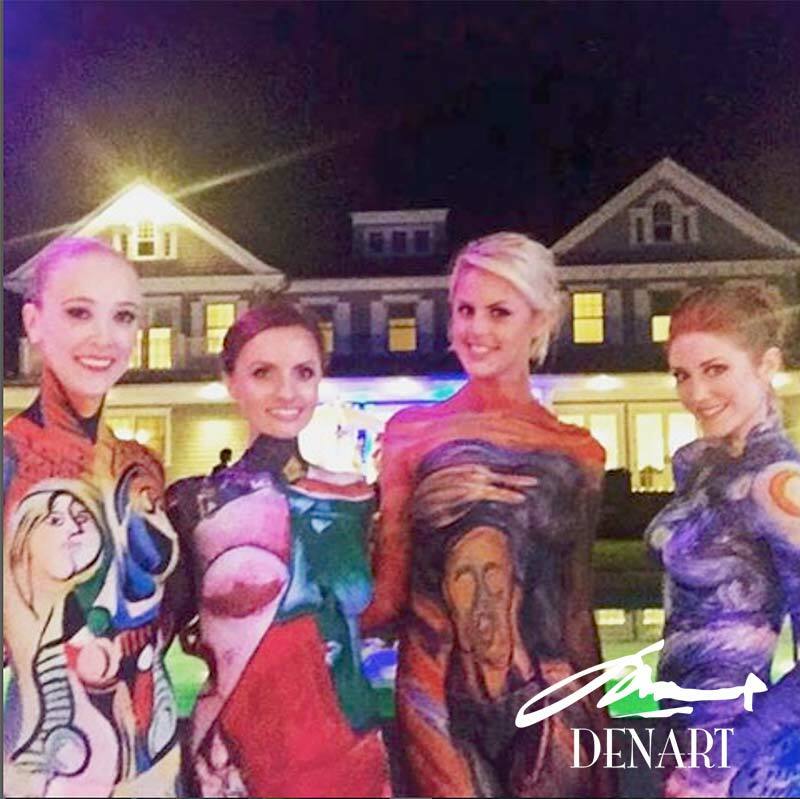 Earlier this month, we did body painting for a private party in the Hamptons. For this party, we painted 4 masterpieces on 4 beautiful models: 3 painted prior to the event and one live during the event. Here are some pictures from that event. Also the nice thank you note from the client post event that made our day! EVERYONE has been talking about the painted ladies all week. Danny and the girls were spectacular. Thank you so much for everything.